One of the fastest growing areas in Bangalore, North Bangalore has been cited for its soaring demand in real estate value in past few years. This area has been enjoying charming greeneries surrounded by bamboo and eucalyptus plantations since a long time. After the Kempegowda International Airport, several IT companies, renowned hospitals, shopping complexes, schools and colleges are booming up in this area. If you are planning to buy an abode in North Bangalore you can go for the ready to move in apartments which are planned and executed by some of the best real estate developers in the industry. The best thing about ready to move in apartments is that, you don’t have to wait for the construction to get over to live in your dream home. Location wise they are situated in a very convenient place from where you can easily carry out your daily routine work. 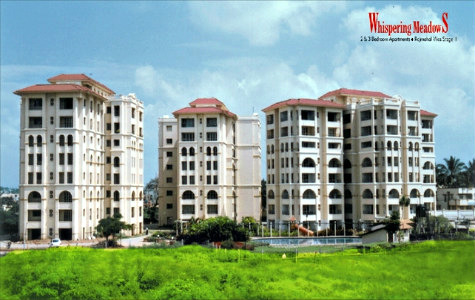 These apartments are designed brilliantly to suite your personality providing you with all the comfort and luxury of life. 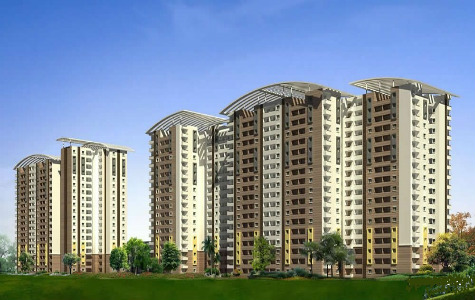 Nagarjuna Meadows II is a residential Apartment Project by NCC Urban Infrastructure Ltd and is situated in Yelahanka, Bangalore.This Project offers 10 Acres of land area and with a total of 552 units of 2 and 3 BHK Classification with SBA Ranging from 1150 Sqft – 2316 Sqft and with a budget beginning from 66.94 Lakhs onwards. 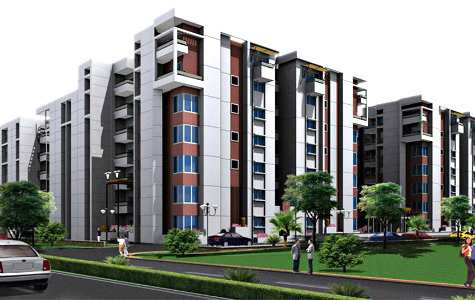 Provident Welworth City is a residential venture launched in Yelahanka – Doddaballapur Main Road, North of Bangalore by Provident Housing Limited. 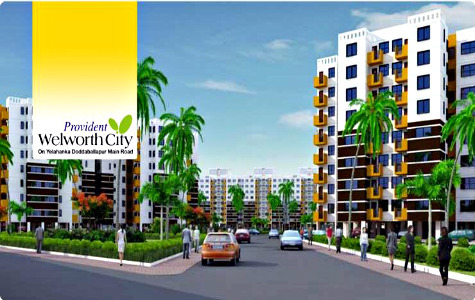 Provident Welworth City has a land area of 41 acres with sprawling lush green space. 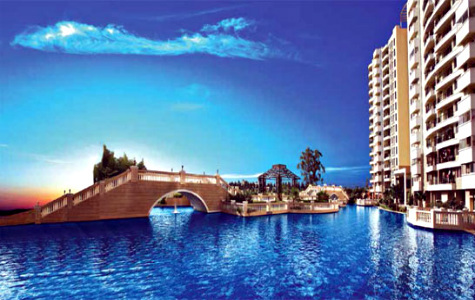 It comprises of 3360 units with 2BHK and 3BHK apartments. This home offers everything you have ever wanted with the best of amenities such as Clubhouse, Swimming pool, Multi-purpose hall, and Supermarket etc. 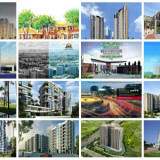 The starting budget of this venture goes from 26.15 Lakhs onwards. Abodh Valmark is an exclusive residential apartment complex located in Near Manyata Tech Park, Hebbal, Bangalore by Valmark Developers. 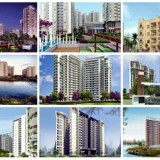 Abodh Valmark is located on 2.9 acres, comprising of 2 & 3 BHK apartments and totalling 410 Units. Approval authority by BBMP and Bank approvals by all Major Banks, this project also offers world class amenities such as Clubhouse, Gymnasium, Swimming Pool, Indoor Games Children’s Play Area, Multipurpose Hall, and Mini Amphitheater. Whispering Meadows a Luxury Residential venture by Kolte Patil Developers.The Project is Located at Dollars Colony, RMV II Stage, in North Bangalore.A project that offers ready to move in 2 and 3 BHK apartments with 84 Units. Whispering Meadows has its budget starting from 70.20 Lakhs Onwards and has approvals from BBMP and also provide amenities such as Landscaped garden, Indoor Games, Children’s Play area, Swimming Pool and Club House. 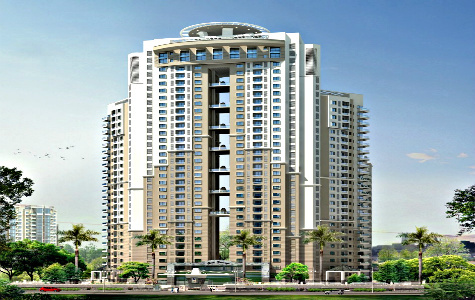 Purva Venezia is a Luxury apartment by Puravankara Builders. This extravagance endeavor is situated in Yelahanka, Bangalore and its advancement spreads crosswise over 21.4 sections of land of area zone. 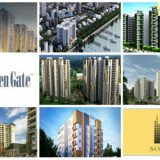 This endeavor contains 1332 Units of 2 BHK, 3 BHK classification and has endorsements from BBMP, BDA and All real banks. Purva Venezia gives pleasantries, for example, Entertainment Center, Aerobics and Meditation Room, Swimming Pool (Indoor and Outdoor), Gymnasium and Steam and Sauna. 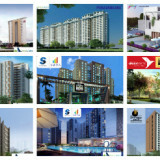 Salarpuria Sattva Gold Summit is a residential venture development by Salarpuria Sattva Group. This residential development is in Hennur Main Road, North Bangalore and spreads across 3 Acres of land and provides 183 units of 3 BHK classification. The starting budget for this venture would begin from 1.35 Crores. Salarpuria Sattva Gold Summit provides amenities such as sports area and courts, swimming pool, Landscaped garden, Jogging track, Party hall, Amphi Theatre, Gymnasium / Steam & Sauna and Club House. 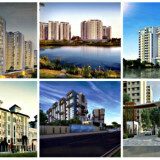 Puravankara Builders have fabricated an extravagance wander named Purva Atria Platina. 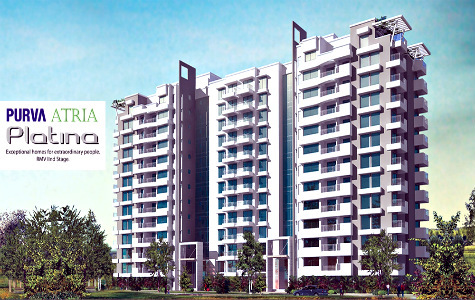 Purva Atria Platina is a super luxurious, limited edition apartments located in RMV 2nd Stage, Bangalore. This Project Covers 2.1 acres of land area.It Comprises of 3 BHK and Size extends from 1959 Sft to 2075 sft and gives 70 condo and have been affirmed by BBMP. 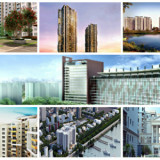 the starting price of this project is 1.76 Crores onwards. 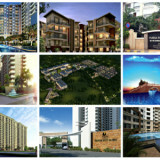 the beginning cost of this venture is 1.76 Crores onwards. Purva Atria Platina contains world class comforts like Entertainment focus with billiards, Sports zone, Gymnasium, Steam and Sauna and Jacuzzi, Swimming pool and Water treatment plant, Ample auto stopping in upper and lower storm cellars and guest auto stopping and Supermarket. Bangalore is a happening city, an address to many IT companies, shopping malls, restaurants and pubs, this place is becoming a focal point for all. This city symbolizes a modern face of developed Indian economy and it has also seen a large number of people migrating from other states to Bangalore. So in order to inhabit the increasing amount of population, every year thousands of buildings are being constructed in small and large acres of land. Hence, the real estate industry is also growing by leaps and bounce. 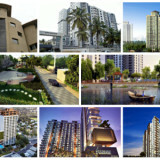 Those already having a good reputation in this field are spreading their wings in the land of Bangalore and the new ones are trying to take a stand in the real estate market. 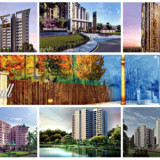 Well known builders such as Prestige Group, Brigade Group, Sobha, Mantri, Nitesh Estates, Purvankara, RMZ, Salarpuria, HM Group, Sterling, Total Environment and House of Hiranandani have come up with many beautiful and luxurious apartments. 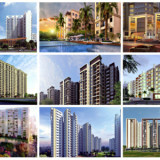 These apartments mostly comprises of 1, 2, 2.5, 3, 3.5 and 4 bhk units providing its residents an option to choose from. Apartments in Bangalore | Residential Apartments | Luxury Apartments © 2019. All Rights Reserved.